GRACE. 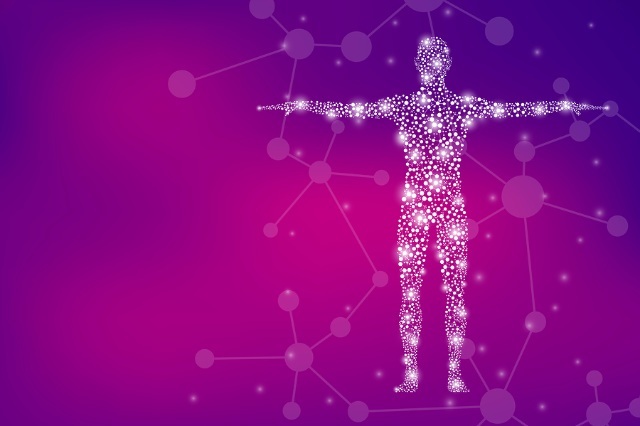 JUST WHAT IS GRACE? 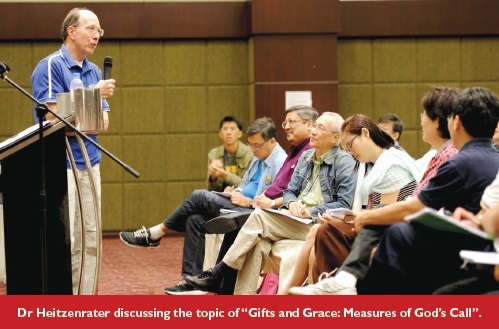 In three talks over three days, Dr Richard Heitzenrater, William Kellon Quick Professor of Church History and Wesley Studies at Duke University, dwelt at length on this topic as he engaged with some 120 pastors from the three Annual Conferences of The Methodist Church in Singapore. He discussed the concept of grace, the means of grace, and the importance of the theology of grace. The pastors, including a few retired Elders, went back to school from April 7 to 9 to learn more about “Pastoral Formation and Spirituality in the Wesleyan Tradition”. “School” was the Grand Paragon Hotel in Johor Bahru, not far from the Johor Immigration checkpoint, and the “teacher”, Dr Heitzenrater, a well-known Wesleyan scholar and writer, is best known for “breaking the code” of Wesley’s personal diaries. Nearly every aspect of the Quadrennial Pastors’ Retreat, organised by the General Conference, touched on the necessity of God’s grace in the call to ministry, gifts for the ministry, fruits of the ministry, the character of the minister, and the mission of the connection. Right from the first day when he talked about “The Extraordinary Call of the Wesleyan Pastor”, Dr Heitzenrater stressed the importance of grace, which he said, “is not a thing … It’s not a pill to take to cure one’s ailment”. He told the pastors that God gave them grace, and God also gave them His begotten Son. is means that “there is a relationship between God and us”. God is self-giving, he said, and that self-giving presence of God is working in our lives through the Holy Spirit. God has the capability to save us, comfort us and love us. Grace is knowing God’s presence. God’s presence is manifest in His power. God has the power to comfort us in moments of trial, to change our attitudes, to transform us. “And so when we say, ‘May the grace of God go with you, it means, may the presence and power of God go with you,’ ” he said. Dr Heitzenrater reminded the pastors that as leaders of the people, they are also followers of Christ, a principle that became very much ingrained in Methodist polity. “The clergy must be disciples before they can help make disciples. Wesley, he said, laid down a high road and a hard task for anyone considering the pastoral vocation. Response to God’s call in the church is a high vocation. In his third talk, entitled “The Holy Spirit and the Means of Grace”, Dr Heitzenrater said the church provides opportunities for people to be transformed and to see the power of God. So, an undertaking of the means of grace – baptism, the Lord’s Supper, even singing in a choir or playing musical instruments – is central to a church’s programme and development. He called on the pastors to “see Methodism as a means of grace” by which “people can see the presence of God”. God’s love. So we backslide and we fall from grace – separating from God, and lacking a sense of the presence of God. is basically a theology of grace. Dr Heitzenrater said that the pastor in the Wesleyan heritage is essentially a spiritual leader in whom the grace of God has been active in forgiveness and holiness, a talented person with whom the grace of God has been shaping gifts, and an eﬀective person through whom the grace of God has been active in transforming the world. 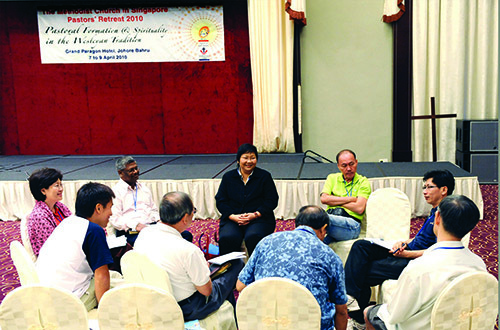 Pastors from the three Annual Conferences at a small group discussion. 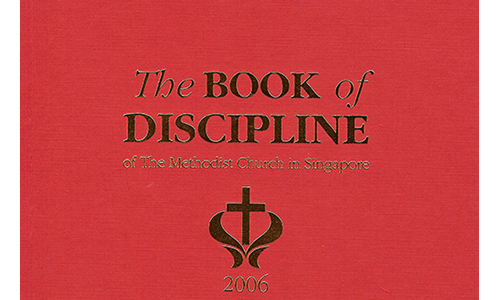 JOHOR BAHRU – Methodist pastors have been told by Bishop Dr Robert Solomon that “God wore a crown of thorns that we may wear a collar of honour”. “God was stripped of His robe so that we can be robed in splendour. He was spat upon so that we can be praised with nice words. He was beaten up so that we can be well-treated. He bled and died so that we may live. The Bishop was preaching at the closing service at the Pastors’ Retreat in Johor Bahru on April 9. His sermon, entitled “Ordination and the Cross”, based on Exodus 29:35-37, 42-46, sought to connect ordination with what the Lord’s Table represents. He said that ordination and consecration bring pastors to an office of dignity and honour. The pastors were reminded that the high calling comes with responsibility and their wholehearted commitment as they went forward to receive the Holy Communion towards the end of the service. Bishop Dr Solomon also preached at the opening service on the first day of the retreat on April 7. He dealt with the restlessness of fear, doubt and a meaningless life in his sermon, “The Road to Peace”. Then there is the restlessness that comes with doubt. Is there really a God? Is the Bible true? Is Jesus real? And there is the restlessness that comes from a wandering life without any real purpose.